School age children always have projects. These projects range from science projects to writing projects and everything in between. 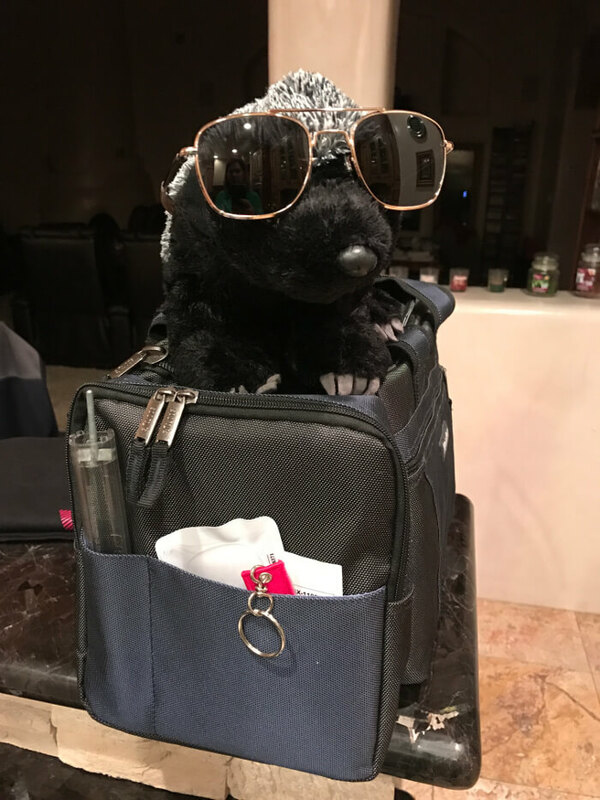 For my oldest, the latest project was bringing home the class mascot for a weekend and write about your adventures together. 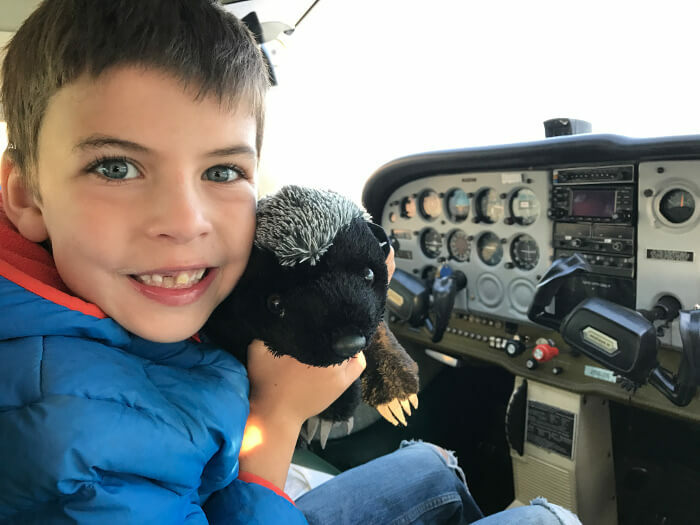 What better adventure to give a 7 year old boy (and his class by proxy) than to take both him and his class mascot flying! 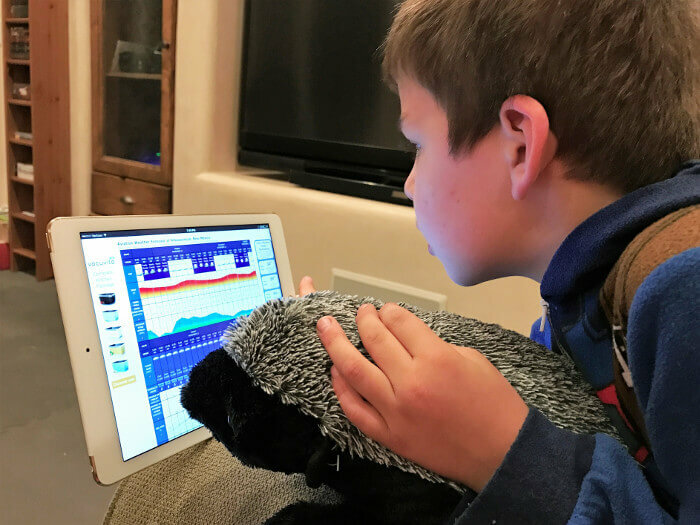 I have been trying to find out what motivates my son outside of TV and video games. I know that every parent out there feels my struggle. However, flying and learning to fly seems to be one thing that’s cool enough for him to show interest in. In the spirit of keeping an interest alive I had him work on a little pre-flight planning for our adventure. 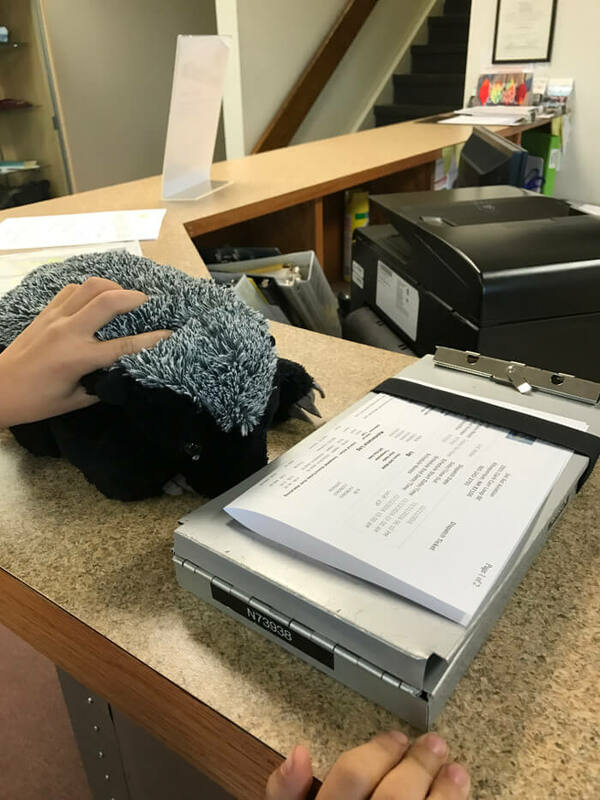 Both him and the mascot, Piper the Honey Badger, checked the weather for our flight the following morning. I told him what the weather was saying and what that should mean for our flight. Based on the forecast it was shaping up to be a very beautiful, smooth ride. I also began to introduce him to the aviation alphabet. I started by showing him how to spell his name and Piper’s name. 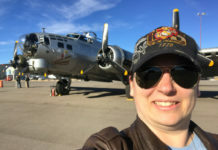 Afterwards, Piper was showing his enthusiasm to get in the cockpit and take a flight. The next morning we were headed to the airport for an early flight. Piper checked out the plane for us and made sure everything was good to go. 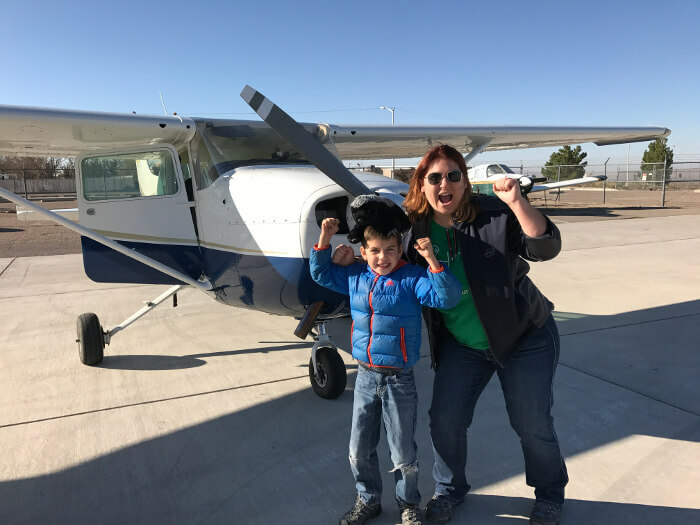 Now, I have taken my son up in the plane before and he knew that I had to check the plane before we could take it out so he followed along as I told him what I was doing. He asked a few questions and patiently waited for his favorite part of the walk around….when the plane pees. He thinks it’s the funniest thing when I check the fuel strainer in the engine, making it look like the plane is going to the bathroom. Ah, the joy of having boys! After a successful pre-flight we hopped into the plane for a quick photo op, and started on our journey. We flew up to the north west practice area and I showed him how the plane moves. We circled my office since it’s conveniently right near the practice area and it’s something he can easily recognize from the air. I let him pick a direction and we went that way until he wanted to turn again. 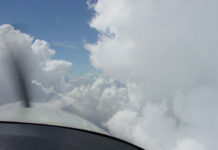 All this fun and basic learning is one of the many reasons I chose to learn to fly. 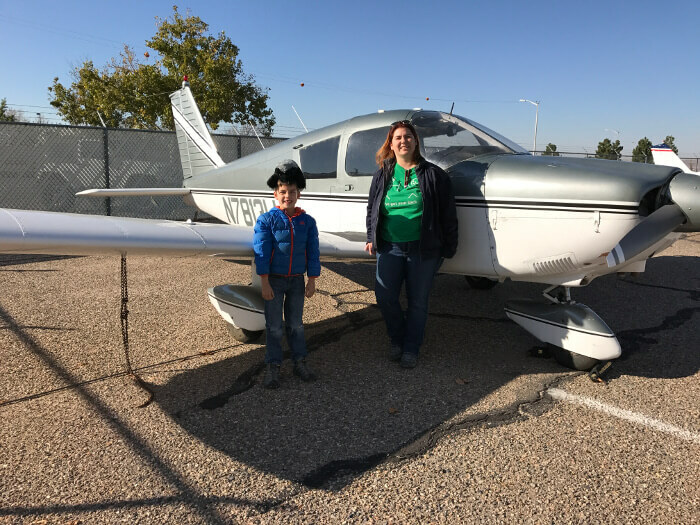 Sharing the joy of aviation with my family brings me immense pleasure. Not to mention the ear to ear smile he had from wheels up to wheels down. His favorite part of being in the air was the “toy cars” he saw below and when the plane turns in the air. 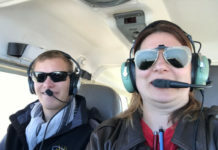 After a fun flight it was time to get more pictures. The obligatory mascot on the head in front of the plane picture was my favorite. 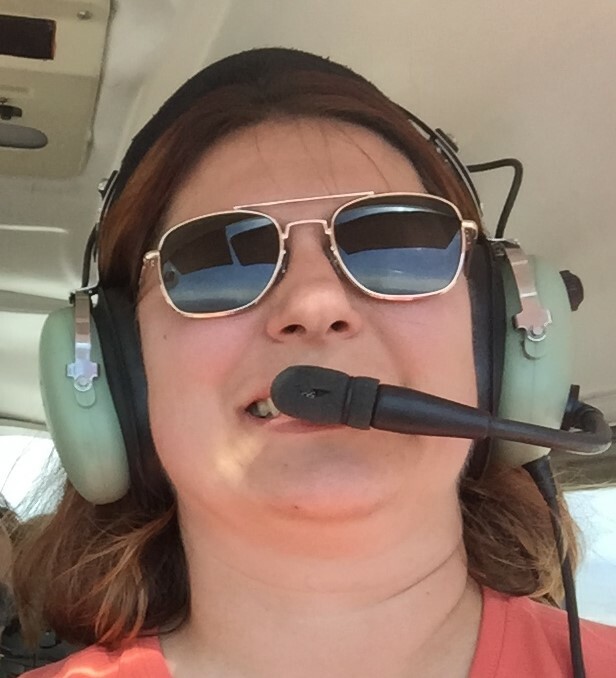 I fly a Cessna, and while it didn’t occur to me at the time, the operation I fly out of has Piper aircraft too. 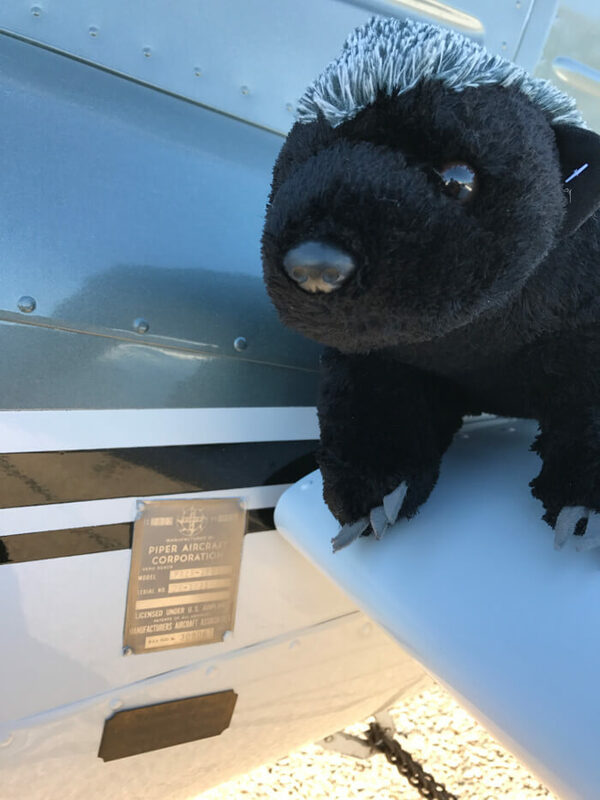 So we went back out with one of their awesome employees and took a picture of Piper the Honey Badger on a Piper airplane. While the awesomeness of this may be lost on both my son and his class I was completely geeking out on such a simple coincidence. All in all it was a great flight. 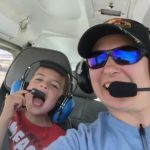 I had fun sharing something I enjoy with my oldest son, got to log some flight time and was able to fuel his interest in flying a little more. My son wrote up his adventures in the scrap book that came home with the class mascot and we added some of our pictures to the book. And while I would never say it to any of his class mates or their parents, I think we may have had the coolest adventure with Piper.